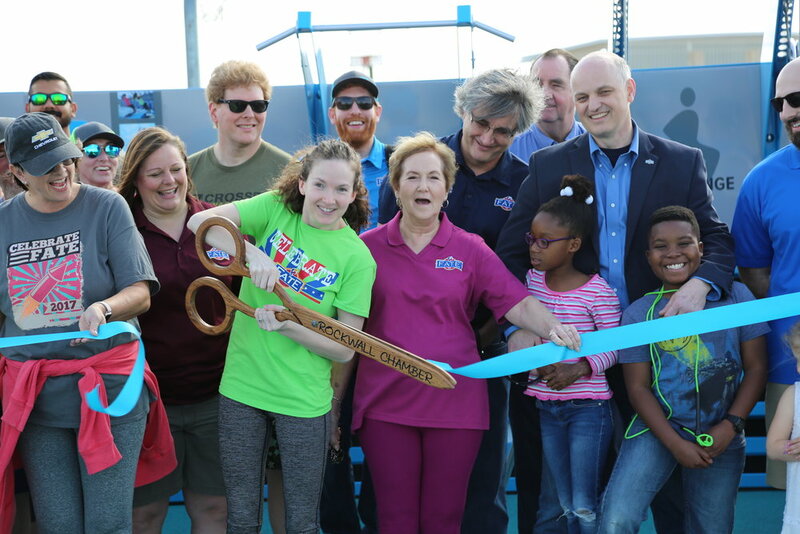 The Texas Health Presbyterian Hospital Rockwall Fitness Court is NOW OPEN! The expansive Robert Smith Family Park in Fate, Texas, will soon be the home of the Texas Health Presbyterian Hospital Rockwall Fitness Court®. 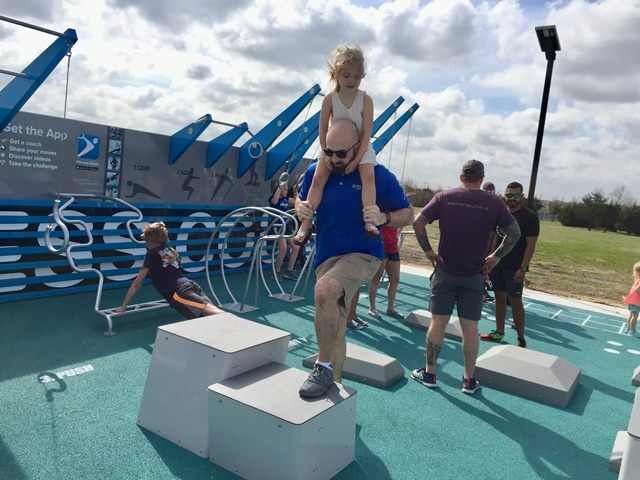 This fastest-growing city in the Dallas metro has partnered with a local health care provider, alongside National Fitness Campaign, to create a beautiful, outdoor community hub for wellness. 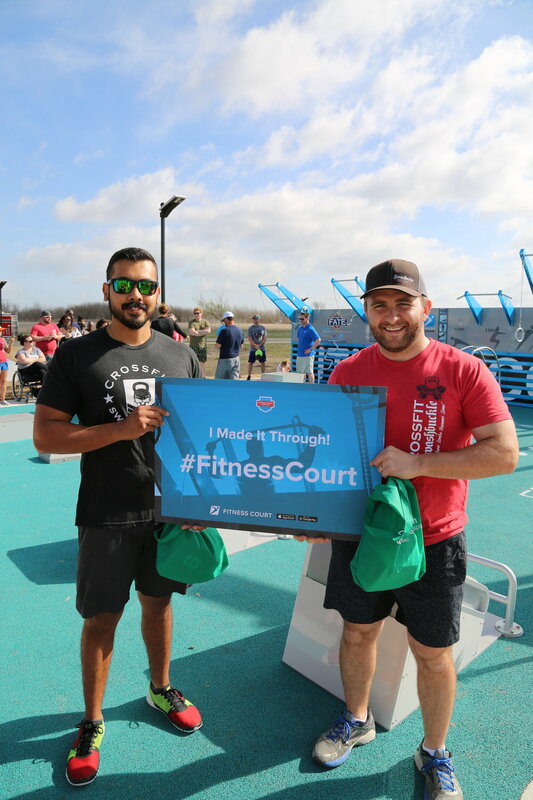 Users of the Fitness Court® will also be able to use the park’s walking trail and other great amenities like a disc golf course, pavilion, playground and LED solar lighting that allows a family-friendly space to move and play. A trailblazing team of three are working together to champion the local wellness program in Fate, and to expand access to healthy infrastructure. Together, the Assistant City Manager, Justin Weiss; Special Assistant to the City Manager, Jessica Larson; and the Director of Public Works, Steve Gilbert, saw an opportunity to impact their community for the better — and they took it! The facility's captivating back wall pays tribute to Texas Health Presbyterial Hospital Rockwall, who has also played a major role in bringing the project to life. 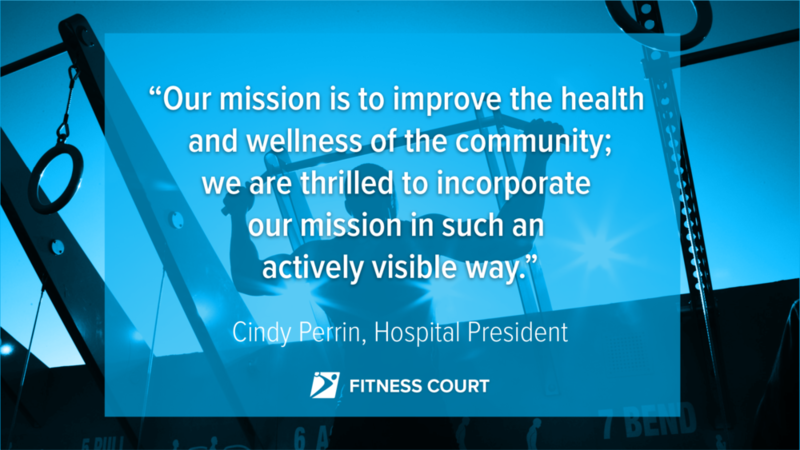 The hospital devotes itself to the community it serves, and supporting the Fitness Court® aligns perfectly with their "family helping family" approach to healthcare. THANK YOU FATE FOR PUTTING FREE FITNESS ON THE MAP!